Client had a series of challenges, including a deteriorating WordPress theme on its main site, an old blog with 10 years of post history in a non- responsive theme and several web assets it was hoping to combine into one website. Client was looking to be on the leading edge of modern mobile responsive design, including large imagery and other incorporated applications. 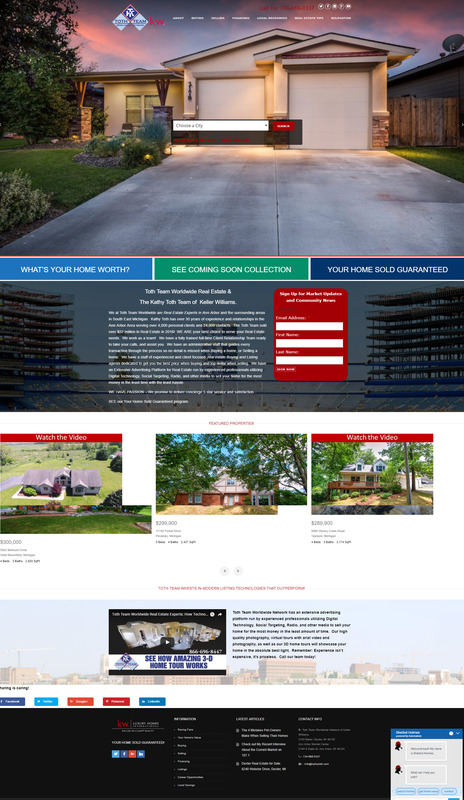 The project was carefully managed through a series of mockup designs prior to final development, including color palette, calls to action, background parallax imagery & colors, fonts, graphics, all navigational elements, lead capture forms development and an images slider with IDX search embedded dead center. The result is a high impact full width, mobile- responsive website with local imagery throughout! Chris’ ( Kinetic’s ) sense of urgency on all our issues was a great relief. This is not the case with most web services and so I truly appreciated the great customer service.